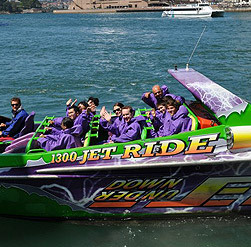 The Downunder Jet Thrill Ride is one Aussie Adventure that’s sure to have you yelling "That was AWESOME!". The 30min blast takes you on a massive hot-lap of Sydney Harbour and departs conveniently from Circular Quay. 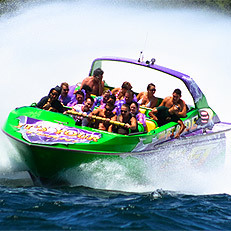 Our jet boats are thrilling stunt machines and our rides are a bucket load of fun! 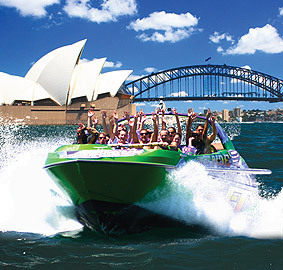 With spins, speed, slides and fish-tails its fair dinkum one of the most extreme ways to sightsee in Sydney! 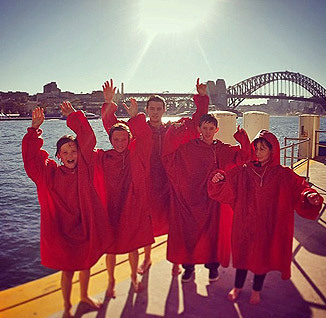 Get ready to check out some amazing Aussie icons on our adventure too, including the Sydney Opera House, Luna Park, swanky houses of the Eastern Suburbs, Shark and Clarke Islands and The Coat Hanger (Sydney Harbour Bridge!). Rides operate daily and bookings are highly recommended. Private charters and party bookings available.